Man, I needed this. After a spell of listening to pretty heavy music, Yves Lambert’s acoustic folk really hits the spot. Some might remember him as a founding member of La Bottine Souriante, one of Québec’s most prominent folk groups since the mid-70s, but if you’re not familiar with that group, other comparisons would include Malicorne and Alan Stivell, though without any real touches of rock (or harp). Lambert’s trio of 15 years features the leader on vocals and accordion, Olivier Rondeau on acoustic guitar, and Tommy Gauthier on violin, mandolin, and percussion; guest Mark Busic contributes harmonium at times. 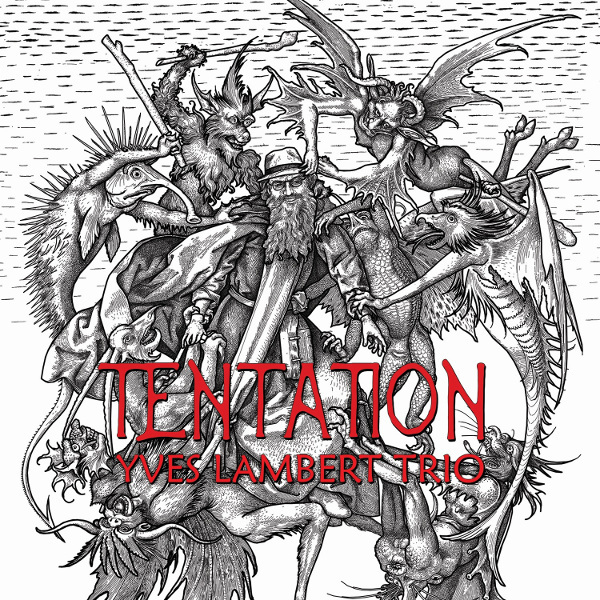 Lambert’s voice is a powerful and charismatic force at the front, with a delivery that is appealing even for listeners with minimal French comprehension. Many tracks feature backing vocals, either as harmonies or in a call-and-response arrangement, and this is one place where the Malicorne comparison comes to the fore. Instrumentally, the majority of the songs are highly energetic, with reels and other dances that can stand with the best Irish and Scottish music, and also have a connection to Scandinavian polskas. I think I’m not alone in being raised on rock and roll but discovering that there’s magic in acoustic music as well, and Yves Lambert is great stuff for listeners who like good playing but don’t have much patience for mellow (AKA sleepy) balladeers singing about their tender feelings. Get up and stomp with these guys, whether you’re wearing plaid flannel or a heavy metal T-shirt.